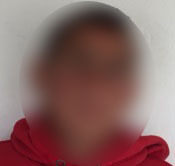 On 30 September 2018, a 17-year-old youth from Nahhalin is arrested by Israeli soldiers at 2:30 a.m. He reports being interrogated without first being informed of his legal rights. He is released without charge 2-weeks later. I woke up to the sound of a commotion outside our house. It was around 2:30 a.m. My father looked out the window and saw lots of Israeli soldiers at my uncle’s house nearby. Then he saw them heading towards our house and he quickly opened the front door. About 10 soldiers entered our home and about 50 more remained outside. The commander asked my father to name his children and when he mentioned my name the commander told my father he wanted to arrest me. He did not say why but told us he wanted to take me for questioning and would then send me home. Then the commander told my father he knew everything about our family and that we were supporters of Yasser Arafat’s party. The commander did not give us any written documents. Outside the house a soldier asked me for my telephone and when I told him I did not have one he slapped me. Then he tied my hands behind my back with one plastic tie which was painful. He also blindfolded me. I was then led to the back of a jeep and made to sit on the metal floor. The jeep drove to the DCO checkpoint where I was put in a shipping container and I sat on the floor until around 6:00 a.m. During this time I was examined by a doctor. At around 6:00 a.m. I was taken to the police station in Etzion settlement and at around 7:00 a.m. I was taken for interrogation. The interrogator took me to a dark container and removed the blindfold. Then he put it back on and told me to be straightforward with him and that there was no room for lying in his presence. Then he removed the blindfold again and without informing me of my rights he accused me of being involved in starting a fire near the fence to a settlement and told me he had arrested all the other boys involved in the incident. When I denied the accusation he accused me of lying and threatened to bring another interrogator known for beating people. Then another interrogator walked in and beat me. After I was beaten I was taken to a room which had flags of all the Palestinian factions on the walls. The interrogator accused me of being a member of Hamas. I told him I was not. Then he told me someone had confessed against me. I asked him to confront me with that person and he told me that person is scared of facing me. Then the interrogator re-blindfolded me and removed the plastic tie and replaced it with metal handcuffs. He slapped me and swore at me and said bad words which I cannot repeat. Then he beat me with what felt like a broom stick. After he finished beating me the interrogator told me he was going to allow me to speak to a lawyer. He then phoned a lawyer and both of them were chatting in Hebrew. It sounded like a friendly conversation and they were laughing. This lasted for about 5 minutes and I was very suspicious of the person on the other end of the line. Then the interrogator handed the handset over to me and the person told me not to be afraid and to deny everything, even the things I had committed, and not to confess. Neither the interrogator nor the lawyer told me anything about my right to silence. The interrogation lasted from around 7:00 a.m. until around 2:00 p.m. with breaks in the middle. Then I was put in a vehicle together with another boy and we were left there. The boy and I started to chat. Then I was taken back for interrogation and the interrogator told me he had listened in on the conversation with the boy in the car. He accused me of throwing stones at soldiers during a funeral in town. Then he showed me a document in Hebrew and asked me to sign it but I refused to sign. Then they took my photograph and fingerprints and searched me in my underwear before putting me in a cell where I remained for about 2 hours. Then I was taken to Ofer prison where I was searched in my underwear before being taken to Section 13. The following day I was taken to Ofer military court. My parents did not attend the hearing because they were not informed. My detention was extended and the hearing was adjourned and I was taken back to Ofer prison. A few days later I was taken for another interrogation at Kiryat Arba police station. The interrogator did not inform me of my rights and told me other boys had confessed against me and that there was no point in lying anymore. I asked him to confront me with the boys but he refused. He told me that even if I did not confess and I was released he would arrest me again. Half way through the interrogation he allowed me to speak to a lawyer over the phone. The lawyer told me not to confess. Then I was taken back to Ofer prison where I was strip searched. The following day I was taken back to the military court. The hearing was adjourned. A few days later I was taken for yet another interrogation at Kiryat Arba. The interrogator did not inform me of my rights and accused me of starting 9 fires near the fence to a settlement in September. He wanted to know the reason for setting fire to the trees. He told me if I confessed he was going to release me. I denied the accusation and told him I was not going to confess to something I did not do. He accused me of lying and told me to confess if I wanted to be released. He threatened to lock me up in prison for 6 months if I did not confess. Then he told me he was going to arrest me as soon as I was released. I later found out that he had told the other boys I had confessed against them which was not true. After the interrogation I was taken back to Ofer prison. The following day I was taken back to the military court. The military judge decided to release me without charge. I was released on the same day, 14 October 2018. I went home by myself because my parents did not expect me to be released.